If Alfred C. Fuller were alive today, he might be somewhat puzzled to find his executive portrait hanging in a nondescript commercial office building in Napa Valley, Calif., of all places. 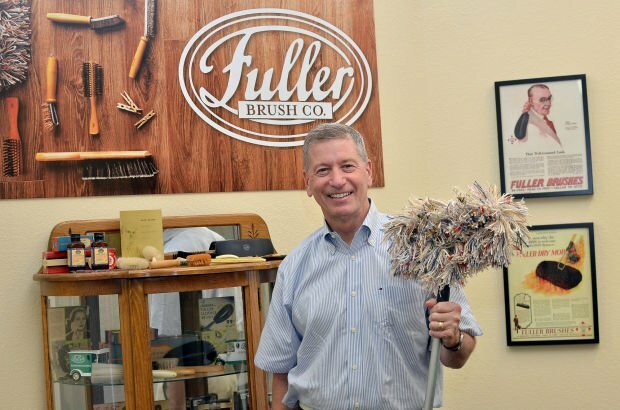 Fuller is the founder of the Fuller Brush Co., which was started more than 100 years ago — in 1906, to be exact — in a basement in Somerville, Mass. For many years, the company was well known for its long-standing tradition of door-to-door salespeople. 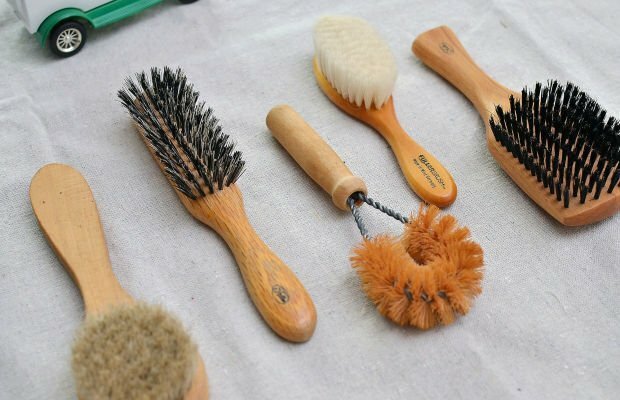 A small army of men, and later women, hawked everything from toothbrushes to vegetable brushes, hairbrushes, shoeshine brushes, cleaning brushes, mops and more. American families were quite used to the familiar face of “their” Fuller Brush salesperson regularly appearing at their doorstep, catalog of wares in hand. However, a series of ownership changes and financial challenges left the company in bankruptcy. Was the era of the Fuller brush over? Definitely not, if you ask entrepreneur David Sabin. This past December, Sabin and venture capitalist group Victory Park Capital bought the iconic American company. The headquarters were moved from its most recent home in Great Bend, Kan., to Napa, close to Sabin’s St. Helena home. Sabin has plans to not only revive the business but significantly grow it. “We felt the Fuller Brush brand was a tremendous asset,” with strong brand equity value, Sabin said. He wouldn’t say how much it cost to acquire the historic business, which also includes the Stanley Home Products brand. Fuller Brush is a piece of Americana, Sabin said. “I feel a huge responsibility to the brand,” and its future. Sabin is no newcomer to consumer products. He’s the former chairman of Salton appliance company, which developed the Juiceman and George Foreman Grill, among many other products. Ten years ago, Sabin and his wife moved to St. Helena and opened Sabina Winery. After a chance meeting at his winery with someone from Victory Park Capital, the idea to purchase Fuller Brush was born. In an office space next to Napa Valley Commons corporate park, Sabin and his team have moved company signs, memorabilia and other business archives, creating the new home to Fuller Brush Co. The oversized oil painting of Alfred C. Fuller hangs squarely in the center of a conference room. Dressed in a three-piece suit and holding a pair of spectacles, Fuller gazes out benignly over a display of modern-day Fuller Brush products. The Napa Fuller Brush offices may be new, but much of the decor is not. Framed magazine pages with vintage Fuller Brush ads are displayed on the walls. Posters from movies “The Fuller Brush Man,” starring Red Skelton, and “The Fuller Brush Girl,” starring Lucille Ball, are also on display. Two vintage display cases are filled with antique Fuller Brush products including hairbrushes, toothbrushes, food brushes, cleaning brushes and Fuller Brush cosmetic items. Many of today’s Fuller Brush products are still made in the U.S. at the Kansas factory, Sabin said. About 165 employees work in the factory, and the company has a roster of more than 5,000 door-to-door salespeople throughout the U.S. To date, about 15 employees work in design, engineering, marketing and sales at the Napa headquarters, and that number will increase, he said. Sabin has big plans for Fuller Brush. Door-to-door sales will continue. But new and different products will be available online, via infomercials on QVC, on the Home Shopping Network and in retail stores like Home Depot and other national retailers to be named. New Fuller Brush products include cleaning tools, small cleaning appliances and kitchen items such as knives and cookware like silicon baking trays. Some new products offer traditional Fuller Brush concepts but with a twist, like a new ionic hairbrush. A vintage-style Fuller brush kit and shoe shine kit have already attracted serious interest from one national retailer, Sabin said. “We’re going to modernize the brand to reach a younger demographic,” the executive said. While baby boomers and older generations are usually quite familiar with Fuller Brush, that’s not always the case with the younger consumer, Sabin said. “Our goal is to bring in the Gen Xers and millennials into our business,” and reach a broader and more diverse audience, he said. Those efforts include use of social media such as Facebook, Instagram, Pinterest and YouTube. The company is also looking for Fuller Brush customers to share their personal Fuller Brush stories on its website. Beginning in August, the company will also be featured on the AMC reality series “The Pitch.” In the show, a group of advertising agencies compete to pitch advertising campaigns to Sabin and his team at Fuller Brush. Sabin said he sees the potential of Fuller Brush. “We built Salton up from six to 3,000 products,” Sabin said. “I see this company has having the same potential, if not more,” he said. “We see so many brands like this disappear,” such as Woolworth’s and Kodak. Sabin said he hopes that in another 107 years, Fuller Brush is even more important to the American consumer. “We have a huge opportunity. I’m so excited to be a part of this,” he said. Visit fuller.com to find a Fuller Brush salesperson. You don't have to wait any longer, you can buy Fuller Brush products at FullerOutlet.com! I remember my mom having Stanley Home parties in the 50's. She became a representative in the early 60's She was a Stanley dealer for over 50 years, she is 92+ going strong. Now I am a SHP representative. I have some of the original products. They are very good and lasting. I have had my Fuller Hair Brush for years and years. I purchased it back when I had Hair! Now, well lets just say the dog loves her belly rubbed only, with a "Fuller Brush"! Yeah, my Brush!!! Love that you are saving a good old American company! Fond memories of the Fuller Brush man delivering my mom's products. Products were the best! LOVE the Fuller Brush Company! Can't wait to buy the products again! Congrats on bringing it to the Napa Valley as business!